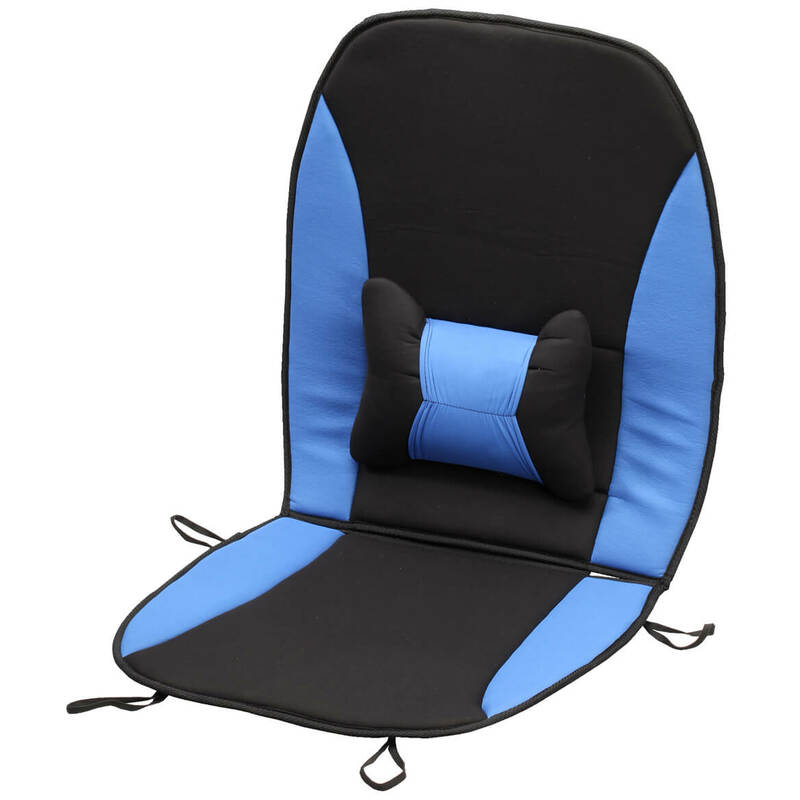 Add 2 Chair Pads to Cart, Get $1 Off each! 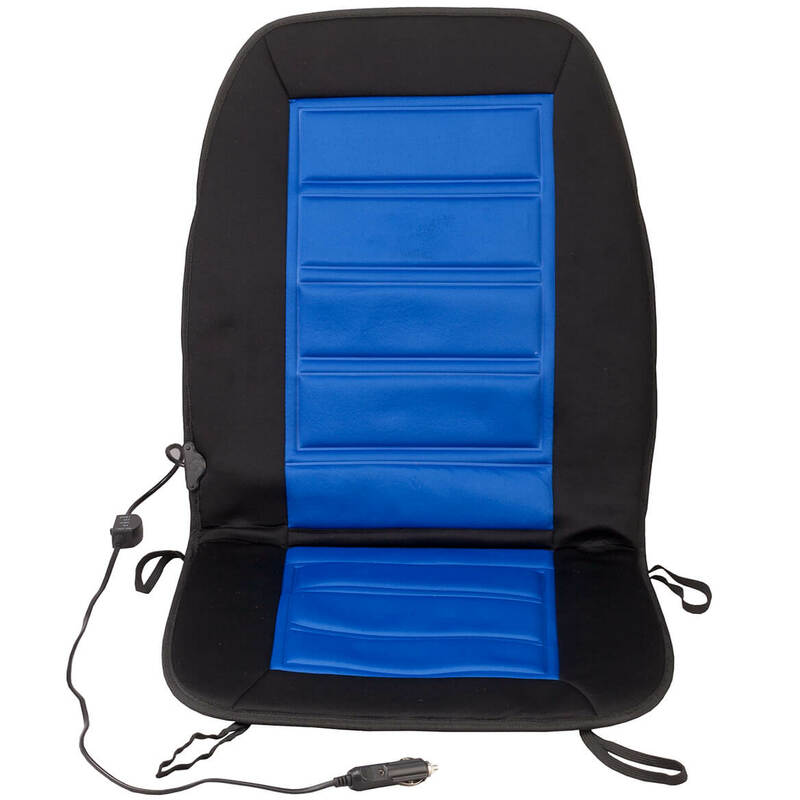 I purchased the pads for the thin cushioned 3rd row seat in my SUV.these pads have held up well and have made a vast improvement in the comfort of the seat on a trip. The cushions boost the height of my chairs and make them more comfortable. The seat covers were beautiful, but... not the right size. The fabric and color were beautiful. I wish that the size had been right for my chairs. Love these chair pads. I have a very old and uncomfortable wooden chair at home that I use frequently when working from home. I bought these pads to see if it would help with discomfort and it does. Love them. Easy to put on chair and easy to clean . I use the cushions wherever I want to give an old chair a new look. I love this cushion. I have shrunk 6" due to osteoporoisis. This cushion is just right for use at the table, in the car and anywhere I need a little extra height. Thank you. I LOVE THESE CHAIR PADS, THEY ARE NICE TO LOOK AT ON THE DINNING ROOM CHAIRS , THEY ARE SO EASY TO TAKE CARE OF. I just got this today and I love it already, it fits in the chair perfectly and seems really soft. I think I am ordering another one for my office chair. The chair pads are very comfortable, but there is a strong fake leather smell that still has not gone away. The cushion is extremely comfortable as it conforms to the buttocks very nicely. My only complaint is that it tends to "slide around" but this is probably the nature of any cushion. If I put the ties around the chair, it would help but there are some chairs that I have which will not allow for ties. This is the type of cushion for my chairs, they are attractive, durable, and great for when the dogs jump on my chairs. Comfortable and attractive to look at as well. I would recommend them to anyone looking for these cushions so far they are holding up after about 2 months of use. The cushion could be a bit larger, but I knew that going in. It looks good, but the wear factor--how well will it wear--is unknown. This purchase was a winner!! I got them because the grandkids chins just barely were above the dinner table - the pads lift them to a great height and the grands love them!! We purchased these cushions sight unseen, when they arrived they were to small for our chairs. When I wanted to return them Kimball's would not send us a free return postage sticker. They said if the product wasn't defective, we would have to pay for the return postage. So it cost us $8.00 S&H to receive them, another $11.00 to return them, so we will get back less than half of our initial cost. I will never again buy anything from this company. Get when you have animals that shed. Great to look at, stays clean, but after you are sitting too long on cushion it goes flat and uncomfortable. This cushion was the third one I've ordered in the past years. The first two were fine. This one did not fit my chair like the others. Smaller in length, width OK. The first one I purchased, started to tear in time. I liked the height of 4" because I am a short person. USE FOR MY KITCHEN CHAIRS, WIPE DOWN EASILY. I like this cushion but when I received it the seam had come apart. I can sew it myself. I bought this cushion to bring me up higher in my computer chair. I couldn't use the ties bacause the back of my chair was solid. I used it anyway, but it slid around a lot. After 2 days, the material was tearing away from the center button., so it won't be long before I have to throw it away. It looks real nice though and was comfortable to sit on, but it should last longer then 2 days. Another one headed for the dumpster. The quality was not like we expected! We did return it. Too soft. Did not meet requirement. I really needed this cushion for my back and bought a few of them. They arrived today. Fast shipping is the only positive so far. They must have changed the way these cushions are made as I bought mine after reading the posted reviews. Right now they are outside airing out from the smell that they have. 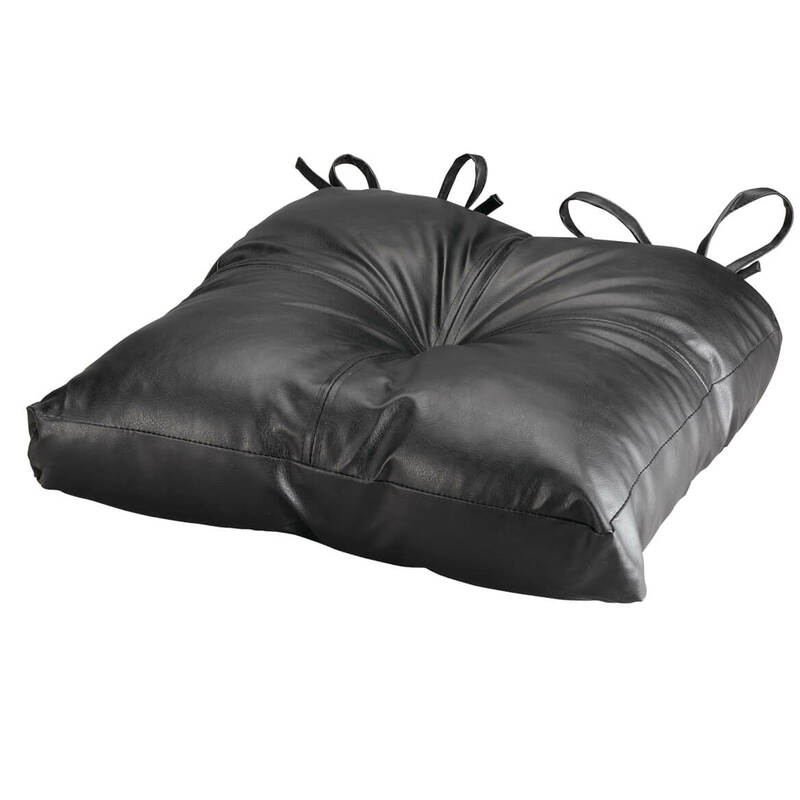 There is cheap padding in the product that simply goes down to nothing the moment you sit on the cushion. It is the worst quality that one could imagine. Mine are going back the next day. DO NOT BUY THIS PRODUCT. 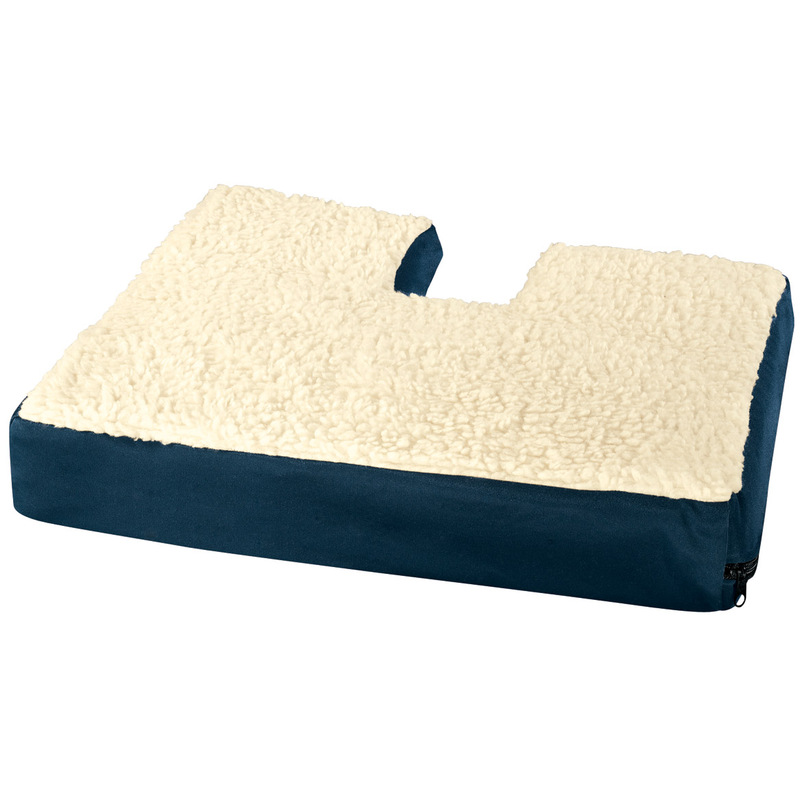 The padding is not soft and is not that comfortable. Further the fastener in the center broke almost immediately. 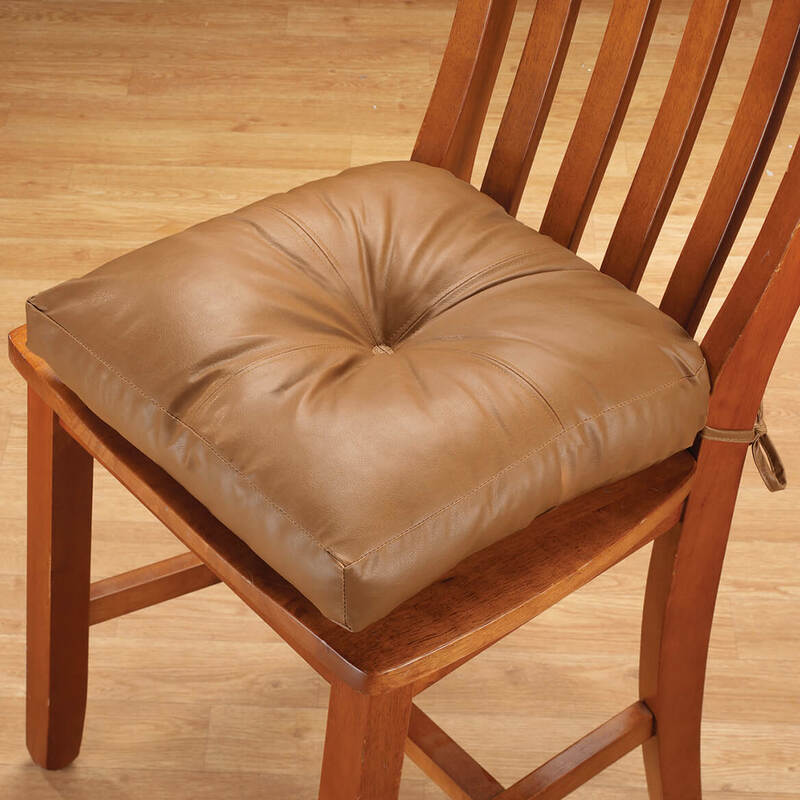 I've been looking for thick faux leather chair cushions for a long time, so I was very hopeful these would meet my needs, but was very disappointed in the product. The cushions are only stuffed about half way, they were lumpy and lop-sided, and just not comfortable to sit on. Could have been made a lot better. I like the cushions and they are very comfortable. However, they only lasted about a month and started tearing out at the middle, top and bottom. I don't think I can repair them. Have two that aren't filled properly but love the material so hoping this one really is 4 inches thick. New car seat sits too low. Love the car! I bought these some years ago and love them. I am replacing my old ones. To replace old fabric ones. Replacing similar item that I have. Hopefully this is the right size for the chair I am looking to replace the cover on. NEED IT FOR THE SHOP! lADIES LOVE TO BE COMFORTABLE. BEEN LOOKING FOR ONE A LONG TIME. Can't find these in stores.Price is reasonable. To us at the Redmond Hospital where I am a volunteer. I need a cushion to sit on when I'm driving. I use it to raise the seat for driving. Thickness,ties instead of the non-slip, leather look. mother is 90, fell , sits in rocker ,seat to low need this to raise seat so she can get up easier. Needed one more for my chairs already have 3. They are simple & elegant, and the price was right! They are SUPER comfortable - even on my Dad's garden tractor! He loves it! Looks comfortable and needed after hip surgery. Low seats no longer work for me. Old one - kaput. This was a perfect replacement. Me happy!! It has ties and good price. I will use it for driving to see better. With my Granddaughter I need cushions that are stain resistant as well as comfortable. I find they are very comfortable and easy to keep clean. 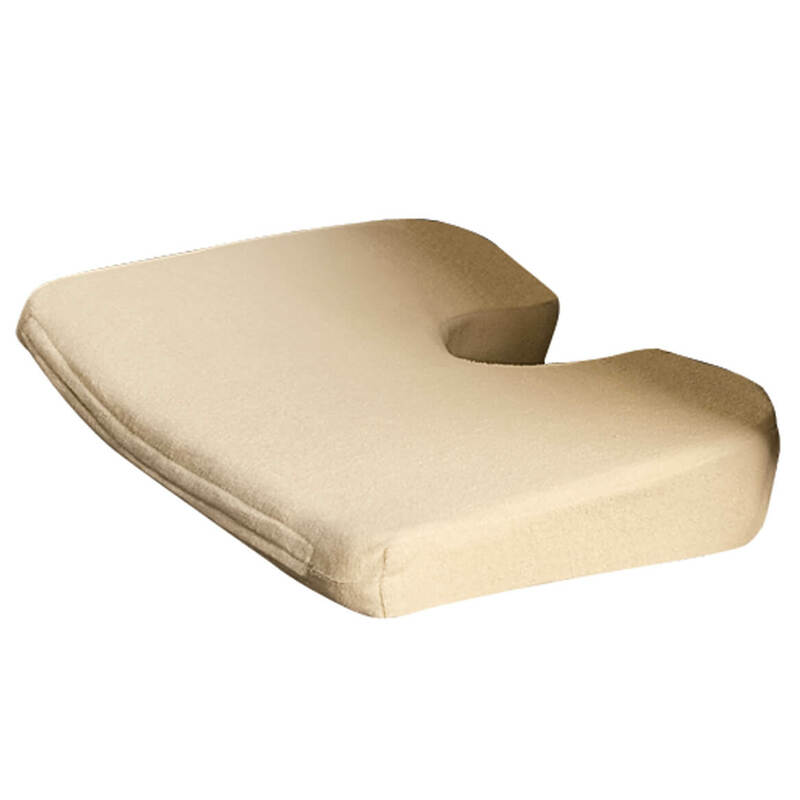 I had knee replacement and want to elevate my leg under my work desk on top of a box and a cushy cushion. I use this in the car--it's easy to slide in and out of the car. I'am hoping that these will be more durable then the cloth chair cushions that I have been purchasing! My husband gets very sore sitting on hard chairs because he has back problems. 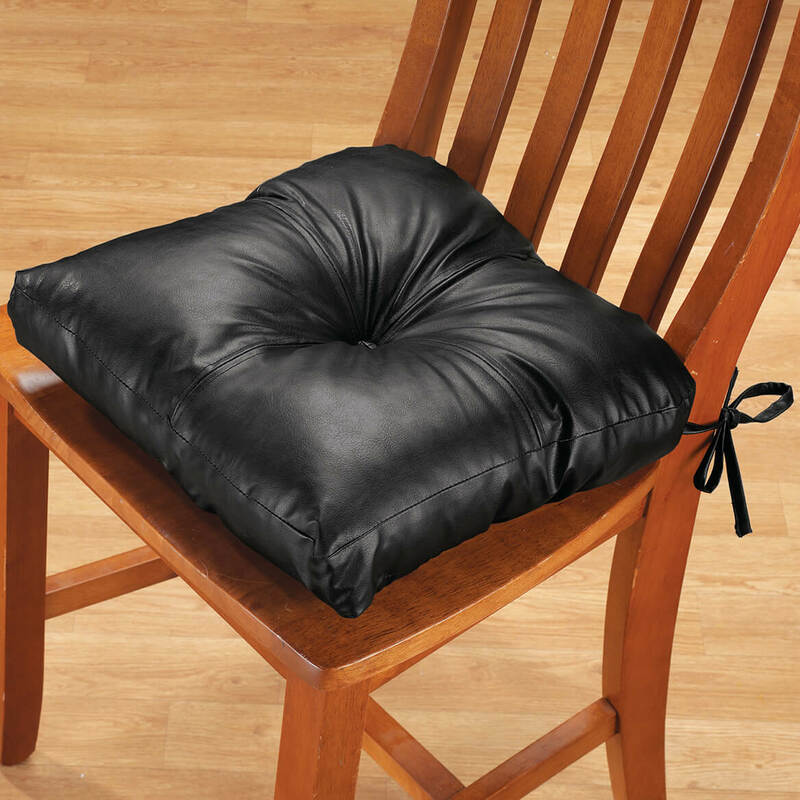 This looks like it will make sitting more comfortable. I want them for kitchen chairs, which get a lot of use, and wonder how the faux leather will hold up?. BEST ANSWER: I have owned these for almost two years and they still look great. They do not get a lot of use as they are on bar stools. My recommendation would be to use the "bottom" side as there are no seams or stitching to come loose, only a button in the center. Turn them over when company comes ;). Good value and comfy. I have had my faux leather chair covers for over a year and they are still just like new. Another thing is, have two cats ad they do not like faux leather. Last a long time. I have one in my car now for over 2 years in drivers seat and looks as good as new. The faux leather holds up very well. The button in the middle loses its moorings. Have one in drivers seat of my car for 2 years now, looks like new. What type of padding does it hav ? BEST ANSWER: Thank you for your question. 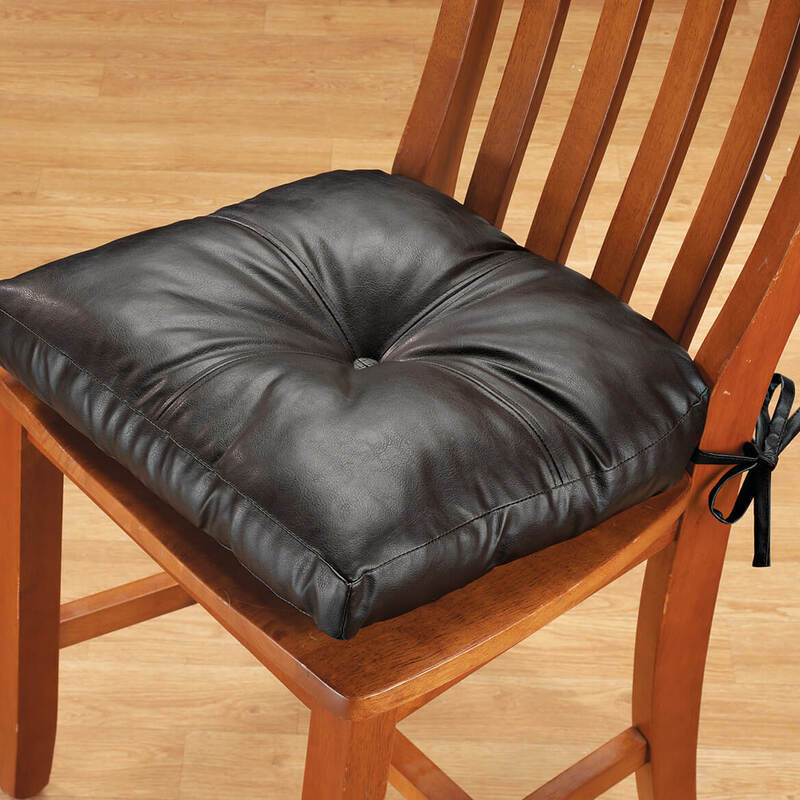 The Faux Leather Chair Pad has a poly-fill on the inside of it. We hope this information will be of help to you. The Chair Pad has a thin layer of foam padding inside. 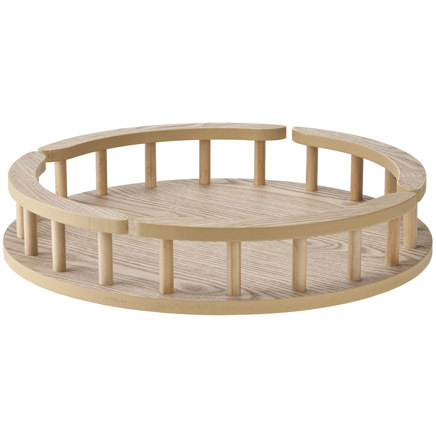 Large wood lazy susan keeps condiments a spin away! Why clutter a table with bottles? Keep dressings, spices and sauces accessible on a roomy, wooden lazy susan. Measures 16 dia. Bottles not included.